We looked at the top 1 Police Scanners and dug through the reviews from 5 of the most popular review sites including BestReviews, Best Reviews Guide, Walkie Talkie Central and more. Through this analysis, we've determined the best Police Scanner you should buy. In our analysis of 60 expert reviews, the Whistler Whistler WS1010 Analog Handheld Scanner placed 10th when we looked at the top 10 products in the category. For the full ranking, see below. Checkout The Best Police Scanner for a detailed review of all the top police scanners. An analog handled scanner that is computer-programmable for easy data back up. What's particularly impressive about this battery-powered radio is that it provides the user with the opportunity to backup data, update the database, and program the instrument directly from a computer. Since it is the handheld type of police scanner, this device is more like a walkie-talkie which you can bring it to anywhere you go and you still can stay informed with what is happening around you as well. Advanced memory system. Several advanced scanning features. The DC adaptor is not included. Programming is complex. Inconsistent sensitivity. The new scanner line opens with the WS1010. 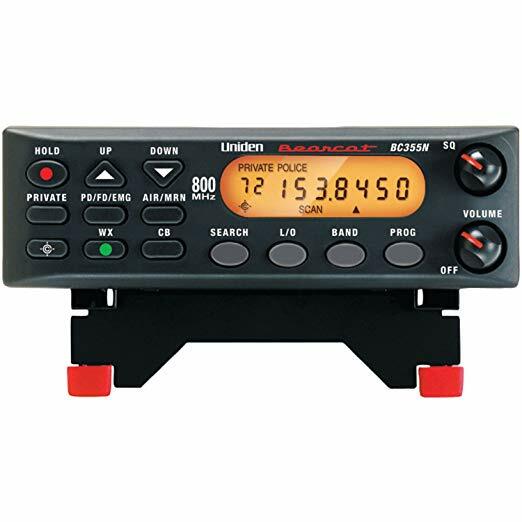 This 200 channel scanner features Data Cloning, PC updatable database capabilities, and dedicated Skywarn button for storm watchers. If you’ve ever watched out your window as emergency vehicles sped to a home down the street, you know the value of having a police scanner. These devices let you listen in on local police transmissions, helping you stay aware of what’s going on nearby. This can help you monitor your area for crime so that you can keep your own home safe. Choosing a police scanner means finding a device that can help you get the best reception possible. With the right scanner, you’ll get the widest range of options when you’re listening. The wrong scanner will have you frustrated as you struggle to find a transmission. Look for a scanner that offers a broad frequency range and a large number of channels. Some scanners also offer both analog and digital frequencies, which can be a plus. Some of the best police scanners use something called Close Call™ RF Capture technology, which helps you tune in to nearby transmissions. Since many consumers investing in police scanners are interested primarily in nearby happenings, this feature comes in handy. Location scanning is another feature that can help you access the transmissions in your immediate area. When a scanner has location scanning built in, it searches for transmissions nearby rather than forcing you to manually input them. This is especially valuable if you plan to use your scanner in more than one place. Before you shop, though, you should make a decision about the build you want. Some scanners are designed to be used on a table or desk, while many others are handheld. If you want the freedom to move around your house or even take your scanner on the go, a handheld scanner may be a better option for you. As police scanners have grown in popularity, concerns have emerged that criminals might use them to get away with crimes. This is largely unfounded, especially since most scanner users are simply hobbyists. In other words, criminals aren’t likely to buy a police scanner simply for the purpose of getting away with a crime. Even if they did, though, the information they’d gain wouldn’t be very helpful since communication is often incomplete. Not only do authorities use codewords only those involved in the incident would understand, emergency services often communicate using multiple methods, so you wouldn’t get the full picture of an incident anyway. That said, it’s important that those using scanners avoid sharing details on social media, especially if the information gives away the addresses of homes that are currently being searched. The most important feature in a police scanner is its reception. The Uniden Digital Mobile TrunkTracker V Scanner can pick up frequencies in both analog and digital modes, which means you’ll be able to pull up transmissions from emergency services and the military. You’ll also get 25,000 dynamically allocated channels. The BaoFeng Dual Band Two Way Radio picks up 128 channels, with a frequency range of 136 to 174, and offers three-way radio wave reception, which includes FM, VHF and UHF. 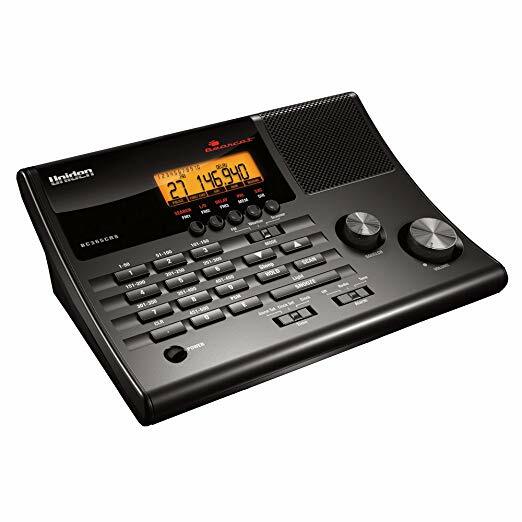 The Uniden HomePatrol Series Handheld sometimes struggles to pick up analog frequencies. If you’re hoping to capture what’s going on in your neighborhood, look for a scanner that builds in Close Call™ RF Capture. The Uniden Digital Mobile TrunkTracker V Scanner, Uniden HomePatrol Series Handheld and Uniden HomePatrol Phase 2 Base/Mobile all include that feature. With the Uniden HomePatrol Series Handheld, you’ll have the advantage of a do-not-disturb setting that lets your scanner continue to look for nearby transmissions while still letting you listen to whatever is happening now. For listening to nearby transmissions, it can also be useful to have a scanner with location-based scanning built in. The Uniden Digital Mobile TrunkTracker V Scanner and Uniden HomePatrol Series Handheld both automatically search frequencies in the surrounding area to keep you from having to find your location manually. The biggest difference between scanners is their general build. The Uniden Digital Mobile TrunkTracker V Scanner and Uniden HomePatrol Phase 2 Base/Mobile are both tabletop models, while the Uniden HomePatrol Series Handheld and BaoFeng Dual Band Two Way Radio are handheld, similar to the design of the radio a police officer wears on his belt. Once you’ve found a good channel, you likely want to come back to it again. 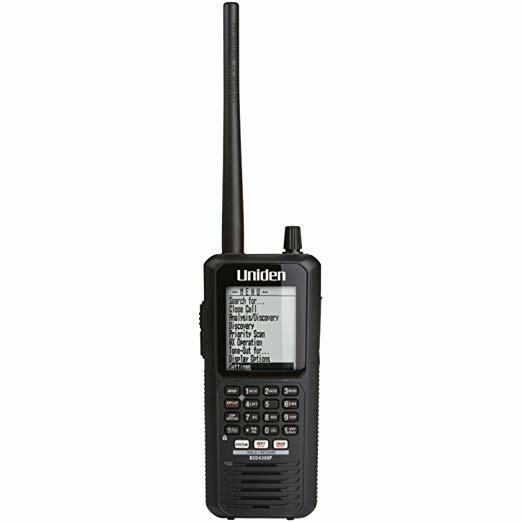 The Uniden HomePatrol Series Handheld lets you create a favorites list to save all of the best channels. The BaoFeng Dual Band Two Way Radio lets you customize your channel names so that you can create nicknames to help you remember the ones you’ve used before. Scanners have come a long way in the smartphone era. The Uniden HomePatrol Phase 2 Base/Mobile has a built-in Wi-Fi feature that lets you sync up with a smartphone app. That means you can access your scanner using your smartphone even when you’re away from home. With other scanners, advanced functionality is built into the device itself. The Uniden Digital Mobile TrunkTracker V Scanner has an advanced dynamic memory system that remembers your preferences and handles more complex tasks. With the Uniden HomePatrol Series Handheld, you can not only save your favorite channels to memory, but you can temporarily skip certain channels. If you’re looking for an affordable scanner, the BaoFeng Dual Band Two Way Radio can get you started. With a price point well below $50, this is a great option for the novice user who wants to simply give scanning a try. You’ll pay more than $300 for the Uniden Digital Mobile TrunkTracker V Scanner, with the Uniden HomePatrol Series Handheld and Uniden HomePatrol Phase 2 Base/Mobile topping $400. Another bonus with Uniden’s scanners is the built-in weather alert feature. The Uniden Digital Mobile TrunkTracker V Scanner, Uniden HomePatrol Series Handheld and Uniden HomePatrol Phase 2 Base/Mobile all have this included. If you want to record what you hear, you’ll need a scanner with plenty of storage. The Uniden HomePatrol Phase 2 Base/Mobile has a microSD slot that provides up to 4GB of storage, which is more space than you’ll probably ever need. If you’re new to scanning, you’ll want to look for a scanner that’s easy to use. 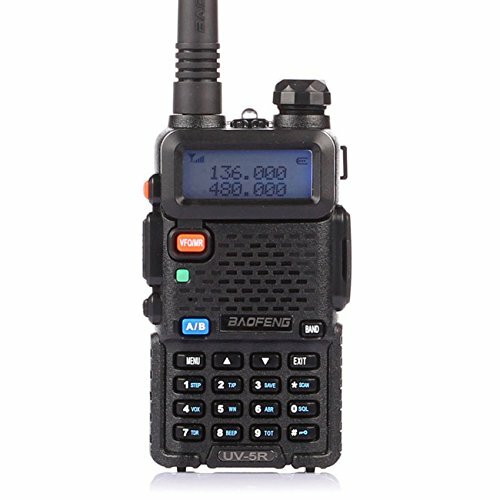 Despite its low price, the BaoFeng Dual Band Two Way Radio may not be the best option, since it can be tough to use. The Uniden Digital Mobile TrunkTracker V Scanner needs some initial programming that can be complicated, and the scanner is a bit advanced for casual users. But the Uniden HomePatrol Series Handheld is built for ease of use, with its programming making many of the tasks you’ll need automatic.